Now you can turn any bed into the ultimate restraint! This Bedroom Restraint Kit is a portable way to easily restrain your partner. The H-shaped straps fit underneath any size bed and reach around to securely cuff ankles and wrists and restrict movement. 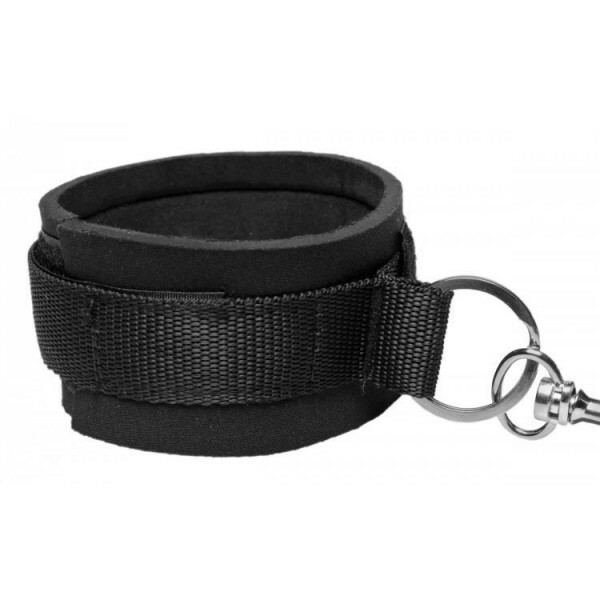 The sturdy Neoprene cuffs are soft and comfortable, yet close securely with heavy-duty Velcro. 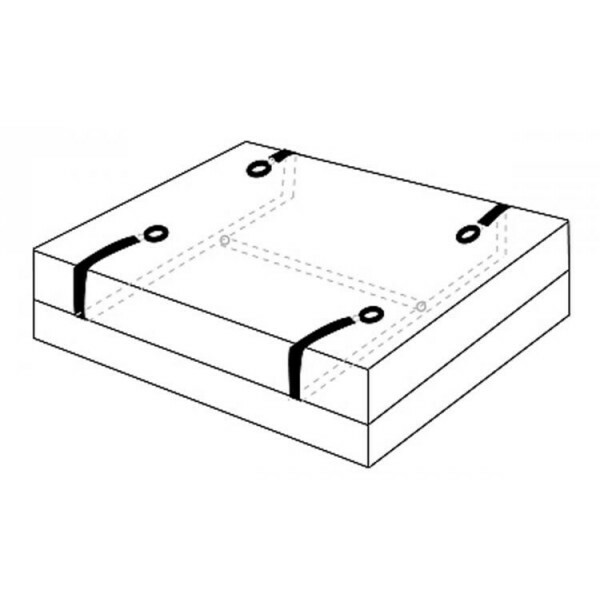 Swivel clips attach the cuffs to the straps underneath the mattress. Enjoy putting your partner in compromising positions as you tease and please them until you decide they are released! Measurements: Four restraint straps and connector strap adjust up to approx. 48 inches in length, cuffs adjustable up to approx. 16 inches around. Material: Neoprene, Velcro, nylon, and metal. Color: Black. Note: Includes four cuffs and H-shaped restraint strap. Adjusts to fit any size mattress.